Over two million Londoners will experience poor mental health this year, and often a call to 999 is the first point of care for those in a mental health crisis. In London we receive on average over 13,000 calls related to mental ill-health a month. These calls can be complex, and take time and specialist expertise to ensure people in mental ill-health receive the right care and support. Emergency departments are not always the right place for someone experiencing a mental health crisis, and can often be traumatising for these patients. 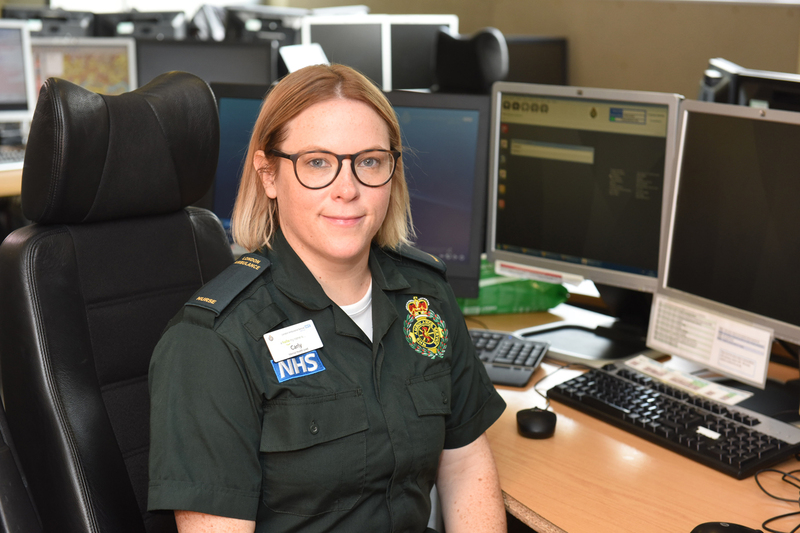 At London Ambulance Service we are committed to ensuring we provide the right care suited to that particular patient, and directing them to alternative pathways is often a better and more appropriate option for them. We have greatly improved the quality and quantity of mental health training over the past few years. It’s important to us that people with mental ill-health are treated compassionately with specialised care and expertise. For some people who are experiencing problems with their mental health, receiving the human caring touch can be significant in their recovery especially when they feel they are being listened to. Since 2015 we have had mental health nurses working at the Service in our clinical hub in our control room. These nurses play a crucial role in risk assessment, and signposting patients to the most appropriate point of care or service in their local community. They are also an expert clinical resource for our crews and 999 call-takers across London. They are able to share their high level understanding of some of the symptoms mental health patients are experiencing and provide advice on the best ways they can support that patient. It is an exciting time to be working at the London Ambulance Service, as we continue to develop our services so patients receive the right care suited to their needs, especially in mental health care. Since joining the Service in 2015 I have seen a shift in the way we are understanding mental health, not just at the Service but across the country. Campaigns to help remove stigmas around mental health are helping to open discussions around the topic, including awareness days like ‘World Mental Health Day.’ It’s great to see there is more awareness of the importance of talking to each other about mental health. It really can help save lives.